PRODUCT DESCRIPTION Fine sandalwood, rich patchouli and warm musk tones entwine with earthy truff.. PRODUCT DESCRIPTION A vibran fragrance infused with aromatic fennel, sage, thyme, eucalyptus and .. 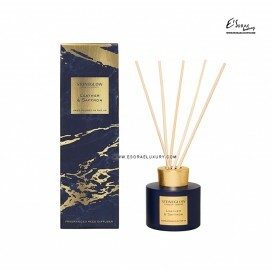 PRODUCT DESCRIPTION A fusion of rich woods, leather and suede. Indulgent saffron, sandalwood and .. PRODUCT DESCRIPTION Bergamot and amber on a base of patchouli and jasmine combine with the earthi..